A stunning and shimmering pair of silver stud earrings. The traditional heart is embellished with real dazzling diamonds for a subtle and elegant shimmer. A cute and classic design, perfect for gifting to a loved one. The total diamond weight for these earrings is 0.02ct. 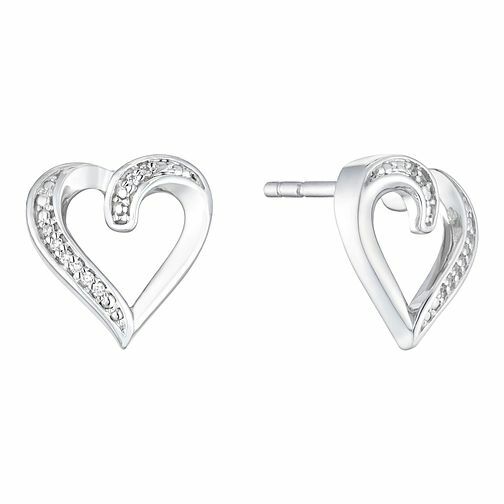 Silver Diamond Heart Stud Earrings is rated 4.8 out of 5 by 14. Rated 5 out of 5 by Anonymous from Fantastic Beautiful pair of earrings, would highly recommend .